When buying auto insurance, the ultimate goal is to protect your car and yourself from financial loss and allow you to make damage repairs. While auto insurance policies typically do a good job of protecting you, some damages are not covered. When you hit a deer while driving, it may or may not be covered by your policy. Hitting a deer while driving is one of the most common types of accidents that do not involve running into another vehicle. This type of accident can also cause a lot of damage, depending on the situation. According to the Insurance Information Institute, the average deer strike results in about $2,800 in damage. While this is not a catastrophic loss, it can definitely change your financial situation if you have to pay that out of your own pocket. The type of insurance coverage that would cover you if you hit a deer is called comprehensive auto coverage. This type of coverage provides benefits when you damage your car in some other way than through a collision with another car. A deer jumping out in front of you would typically be covered by this type of coverage. It can also provide protection against other perils like fire, hail damage or a tree limb falling on your car. Although hitting a deer may be covered by your insurance, it is not always covered. Many drivers only have liability coverage and some only have liability and collision. Even though you are technically engaging in a collision with the deer, this is not what collision coverage is for. 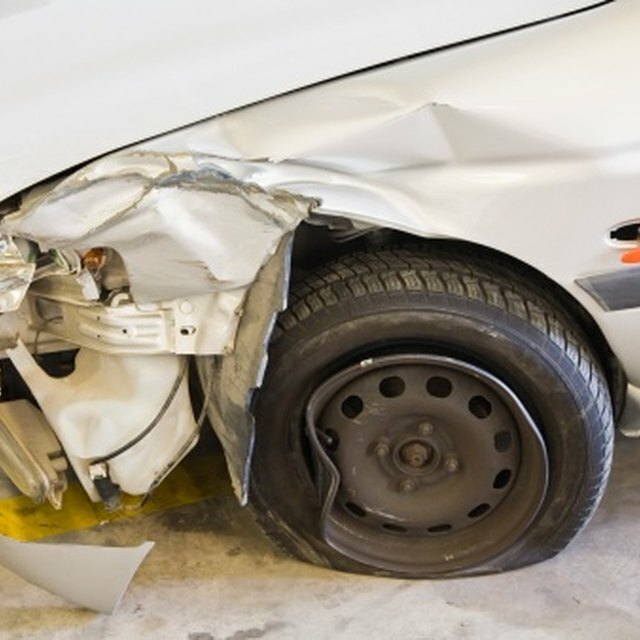 Collision coverage only covers damage to your car that occurs when you hit another vehicle. It is typically a good idea to review your auto policy to make sure that you have comprehensive coverage if you are concerned about hitting a deer or live in an area where the risk of hitting a deer is high. If a Deer Causes a Car Accident Will Comprehensive Insurance Cover You? If you hit a deer and have comprehensive auto insurance, this will be covered under a separate deductible than what your collision insurance provides. In many cases, the comprehensive deductible is lower than the collision deductible. For example, the collision deductible might be $1,000 while the comprehensive deductible is only $500. This is because the damage from a collision claim is typically higher than what is caused by a comprehensive claim and it is more likely to occur.